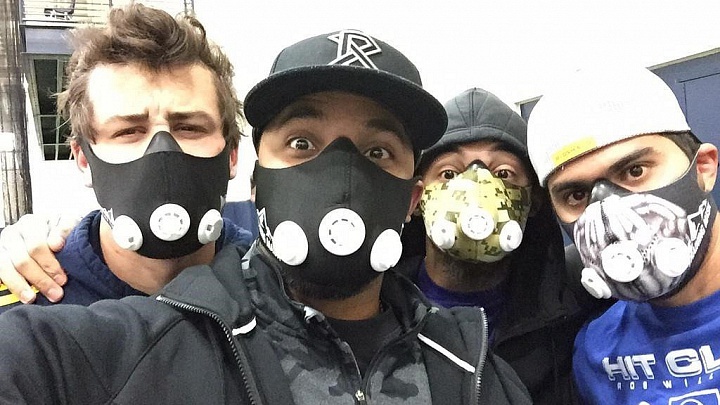 Altitude Training Masks – Do they Work? There are numerous new training devices being introduced each year that claim to help improve fitness, delay fatigue, enhance performance and reduce the risk of injury. Some are good, some are bad and some are indifferent. One such device that has gained popularity with some recreational and competitive athletes is the altitude training mask (ATM). Before offering an opinion as to its effectiveness, let’s look at how it is supposed to work, the science behind altitude training and the published research on this type of device. How does the ATM work? The altitude training mask (ATM), also known as an elevation or ventilatory training mask, was originally designed to simulate training at altitude and enhance performance by increasing endurance, aerobic capacity (VO2 max) and improving lung function. The concept failed for reasons that will be presented later. The science of altitude training. Now, let’s look at the conflict between the science of altitude training and how ATM-like devices work. Many of the masks available on the market simply restrict your breathing so you can’t pull air into your lungs as fast as normal. When you exercise in one, you get out of breath sooner at a lower exercise intensity than normal. You will also accumulate more CO2 in your blood. The composition of the air that you breathe at sea level (21% O2) and the partial pressure of oxygen (159 mmHg) are exactly the same as they are without the mask at sea level. Your breathing is harder because you are getting less total oxygen in. At higher altitude, the composition of the air (21% O2) is the same as at sea level, but the amount of oxygen in the air is reduced due to the lower partial pressure. The partial pressure of oxygen at sea level is 159 mmHg. It drops to 96 mmHg at one mile high and the percent of hemoglobin that is saturated with oxygen drops from 98% to 81%. Coors Field in Denver, for example, is 5280 feet above sea level. The percentage of oxygen is the same as at sea level (21%). But, since the air pressure is lower, the O2 molecules are farther apart, so there are fewer of them in a lungful of air. You are breathing the same volume of air, there are just fewer molecules of O2 in it. 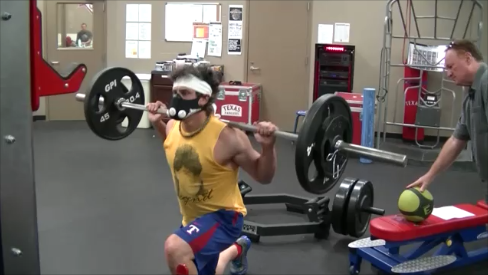 The bottom line is that an altitude training mask is not simulating the same type of hypoxia that you get from living or training at higher elevations. improving the strength and endurance of your respiratory muscles. When training and performing, your goal is to maximize your ability to deliver oxygen to your working muscles. The more oxygen you can inhale and deliver per minute, the more work you can do. When you restrict breathing with a mask, you lose power and move slower. The stress is on your ability to breathe, not your ability to work. To improve fitness and performance, you need to work at an intensity high enough to create a training stimulus, and you can’t work as hard when your breathing is restricted. The research on ATM training. The peer-reviewed, scientific research on ATM training is limited, but the research that is available indicates that ATM training will not significantly improve adaptations to aerobic, sprint or resistance training. Warren, et. 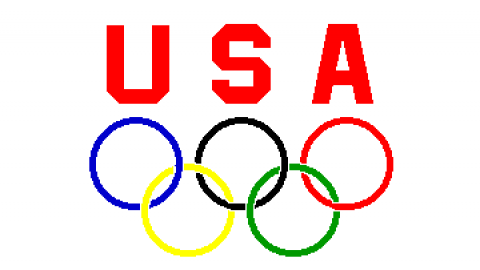 al., for example, divided ROTC cadets into two groups10. One group trained wearing an ATM mask, the other served as a control group. The ATM group trained three times per week for seven weeks. In the first training session, ATM subjects performed an interval running program in which they jogged for 60 seconds and sprinted for 10-seconds over a 2-mile distance. In the second workout, they rotated through an 8-station body weight circuit, and in the third they ran 4 miles at a steady pace. Initially the ATM was set to simulate 3,000 feet above sea level. In week 4, it was increased to simulate 12,000 feet. Post-test data indicated that there was no significant increase in absolute or relative aerobic capacity between or within groups. The ATM group improved VO2 max by 2%. The control group improved by 1.7%. Likewise, Sperlich, et. al., found no significant difference in VO2 max between members of the German Special Force Squad who engaged in a 6-week high-intensity running program and those in a control group.7. Similar findings were observed by Maher and Figueeroa12 in college students who trained on a treadmill two times per week for 6 weeks at a pace that elicited 65-75% of their heart rate reserve. 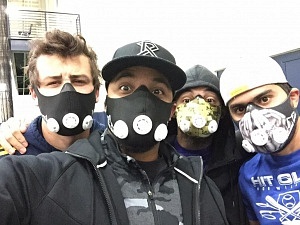 The ATM group had a 6% improvement in VO2 max while the non-mask group had a 7% improvement. While most of the data indicate that training with an AMT will not improve aerobic fitness and/or will not improve it significantly more than traditional training without a mask, how does it affect resistance training? Jagim, et. al., compared the results of a group of recreational weight lifters who performed 6×10 at 85% of the 5-RM and ran an all-out sprint test while wearing an AMT to a group that didn’t.2 The investigators observed significantly lower ratings of alertness and focus after the squat, bench press and sprint test in the ATM group compared to the non-mask group. They also found that, while wearing the ATM did not hinder the ability to achieve the desired training volumes, it did reduce the ability to maintain working velocity. Most high-intensity resistance training programs utilize 3-5 sets of 4-8 reps at 75-90% of max and take 20 seconds or less to perform. While oxygen utilization will have minimal effects on lifting performance in workouts of this duration, the participant’s workout will likely suffer due to the restricted breathing provided by the ATM. Instead of taking deep, synchronized breaths during the concentric and eccentric parts of the lift, the participant is more likely to take short, shallow breaths that can’t help him stabilize his body, control the weight or perform the Valsalva maneuver correctly. Participants make greater gains when they work at a higher intensity and perform more sets freely than when they perform fewer sets at a lower intensity due to the mask. Conclusions. While the peer-reviewed, scientific research is limited, available data strongly suggest that ATM training does not simulate the physiology of training at altitude and does not significantly improve aerobic or anaerobic performance beyond that observed with conventional training. Also, the improvements in respiratory muscle function observed from training with these types of devices are not significant and are not transferable to improved aerobic capacity or performance. Biggs, NC, et. al., Effects of Simulated Altitude on Maximal Oxygen Uptake and Inspiratory Fitness. Int J Exerc Sci, 10(1): 127-, 2017. Jagim AR, Acute Effects of the Elevation Training Mask on Strength Performance in Recreational Weight lifters. J Strength Cond Res. 32(2):482-489, 2018. Kenney, L, Wilmore, J. H. and D. L. Costill. Physiology of Sport and Exercise, Human Kinetics, Champaign, IL, 2015. Kurobe, K, et. al., Effects of resistance training under hypoxic conditions on muscle hypertrophy and strength. Clin Physiol Funct Imaging. 35(3):197-202, 2015. Maher, M, The Effects of Simulated Altitude Training on Aerobic Capacity and Function. (Master’s Thesis) New Jersey. William, Paterson University, 2016. Porcari, JP, et. al. Effect of Wearing the Elevation Training Mask on Aerobic Capacity, Lung Function, and Hematological Variables. J Sports Sci Med, 15(2), 379-386, 2016. Sperlich, B, et. al., Does Respiratory Muscle Training Increase Physical Performance? Military Medicine, Vol. 174, 2009. Sonetti, D. A., et. al., Effects of respiratory muscle training versus placebo on endurance exercise performance. Respir Physiol, 127(2-3), 185-199, 2009. Warren, B, et. al. The Effects of an Elevation Training Mask on VO2max of Male Reserve Officers Training Corps Cadets. Int J Exerc Sci 10(1): 37-43, 2017. Williams, JS, et. al., Inspiratory muscle training fails to improve endurance capacity in athletes. Med Sci Sports Exerc, 34(7), 1194-119, 2002. Gene Coleman, Ed. 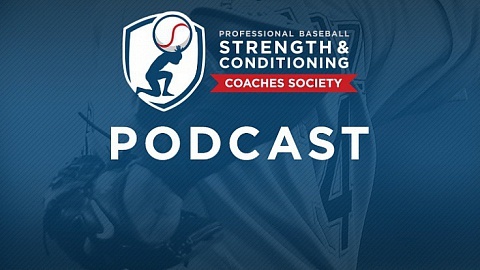 D., RSCC*E, FACSM is Professor Emeritus in the Exercise and Health Science Program at the University of Houston – Clear Lake and S&C consultant for the Texas Rangers and Website Education Manager baseballstrength.org. Jose Vazquez, PT, RSSC is Head S&C Coach for the Texas Rangers.